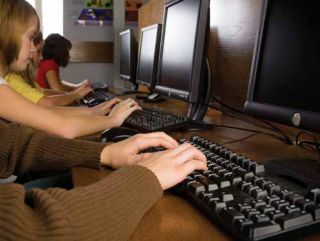 From New Jersey to Ohio to Washington, districts are preparing for online testing. We checked in with a few district-level technology directors to see where they are in the process. WHERE: Farmington (CT) Public School District (www.fpsct.org), which is made up of seven schools and 4,000 students. IMPLEMENTATION PLANS: Lindquist began working on this issue nearly two years ago by assessing the capacity of his infrastructure. “I wanted to make sure we could handle online testing in our buildings and have the capacity to grow as other things besides online testing come upon us and take up the pipe,” says Lindquist. He also started focusing on preparing students for the online testing environment. WHERE: Miami-Dade County (FL) Public Schools (www.dadeschools.net)—the country’s fourth-largest district—comprises 392 schools and 345,000 students. Capacity has been an ongoing challenge. “Identifying the number of computers needed to test children within a window has been difficult,” says Field. “In the first year, we had two weeks for each content area. This year, we have one week per content area for end-of-course exams.” The district administers one session in the morning and one in the afternoon (for larger schools) to cycle students through. They are forced to use labs that are traditionally used for instructional purposes and that requires a suspension of instruction during testing windows. A key reason this district has experienced such a smooth transition into online testing is the amount of training Shay provides. “The professional development that Sally’s team does with test chairs and the technicians who help schools on test days has been really helpful,” says Karcher. “Technicians, who are at the schools during testing, know how to set up machines and labs.” Before each testing, the testing chairs receive in-person training. There are separate breakout sessions led by tech staff in which everyone at the affected school learns about requirements and procedures. The technicians also do a walkthrough with the staff. In terms of bandwidth, Karcher isn’t concerned. Her infrastructure was built to manage lots of bandwidth, and she controls and prioritizes traffic during testing by not letting students run videos or other bandwidth-intensive applications. WHERE: Glassboro (NJ) Public Schools (www.glassboro.k12.nj.us), which consists of five schools and 2,309 students. Since he has a private fiber network, he only needs one high-speed Internet connection for the entire district. Everything comes through the central office server room and goes out through one Internet pipe. “We’re at the first stage—taking inventory,” says Jose Ortega, an administrator in the Educational Data Management Division of the California Department of Education. The state has committed to doing six rounds of data collection in the spring and fall of each year until 2014. In April, districts were invited to take an online survey about their tech readiness. “There’s no way of telling if someone is ready to deploy assessments until we have information from this survey. We’ll find out about their hardware, software, and network capacity,” Ortega says. When the first window closes in June, the information will be sent to the Partnership for Assessment of Readiness for College and Careers (PARCC ) and the Smarter Balanced Assessment Consortium. Those organizations will plug all of the various states’ data into their systems and come up with specs. “Once we have the specs, our second data-collection window will help districts see if they are ready to conduct these kinds of assessments,” says Ortega.